I’m amazed it’s been nearly a decade since the last time a national Broadway tour of “The Color Purple” came to Chicago. It was 2009, and it was at the 4,000 seat Arie Crown Theater at McCormick Place in Chicago for just five days with singer-turned-actress Fantasia (who was a 19-year-old single mother when she became an international name after winning FOX’s “American Idol” in May 2004) playing the role of Celie, the character which earned Whoopi Goldberg a much-deserved Oscar for the 1985 film adaption of Alice Walker‘s book. 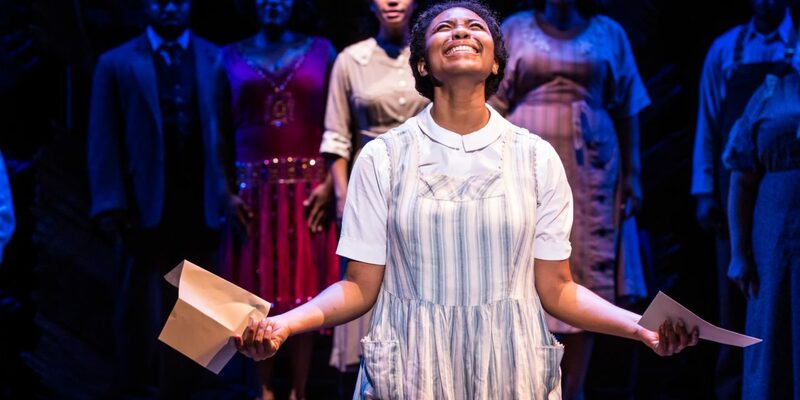 The stage musical treatment of “The Color Purple” has a special connection to Chicago. The original launch production was Oprah Winfrey‘s proud venture into the world of Broadway when it opened here in May 2007 for a quick summer run before on to a New York Broadway stage in December that same year. What is playing in Chicago, now through July 29 presented by Broadway in Chicago at the Auditorium Theatre of Roosevelt University, 50 E. Congress Pkwy., is the Tony Award-winning revival of “The Color Purple” directed by Tony winner John Doyle and starring key cast members from the 2016 Broadway revival for this touring company, including Adrianna Hicks as Celie, Carla R. Stewart as sultry, heart-of-gold Shug Avery and Carrie Compere as Sofia. Usually, I dedicate the lead of my reviews to discussing the cast before devoting the space that follows to the creative talent. 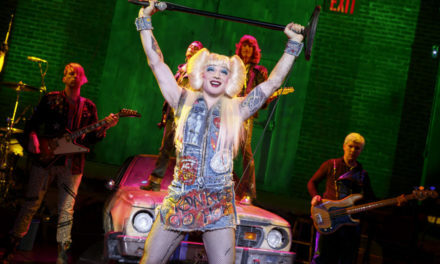 But for this review, the staging and surrounding elements are so key and creative, I bow to Tony Award-winning director and scenic designer Doyle who has recreated his award winning work for the national tour, alongside the perfect costumes by Ann Hould-Ward, masterful lighting by Jane Cox and sound by Dan Moses Schreier with wig and hair design by Charles G. LaPointe. 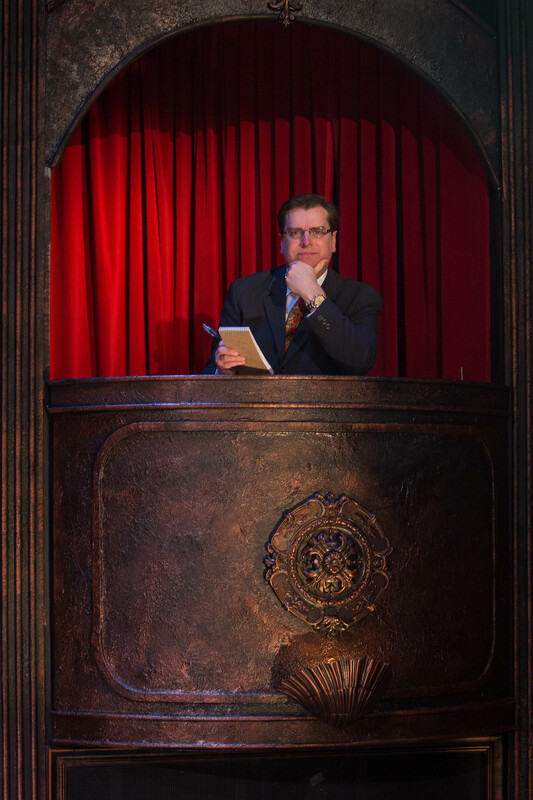 The Auditorium Theatre is a cavernous space, yet the simple and inventive stark set design by Doyle is a perfect fit. 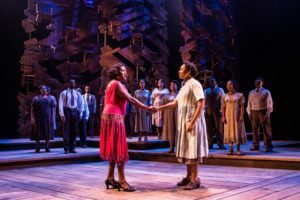 In all previous runs of “The Color Purple” I’ve reviewed, both 2007 and 2009, the productions featured full scenery changes and expansive sets and props. 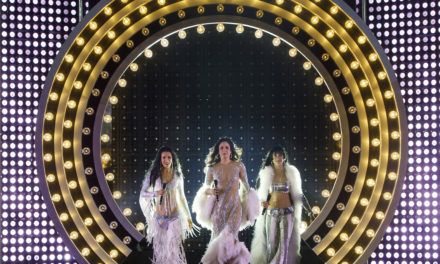 For this revival, which opened in summer 2013 at London’s Menier Chocolate Factory followed by the return to Broadway on Nov. 10, 2015 at the Bernard B. Jacobs Theatre, Doyle allows the talent of the cast to dominate the stage which uses a wall of hanging chairs as the fixed focal point. And it works, allowing the audience to use imagination and creative focus to set each scene. “The Color Purple” revival played 483 performances on Broadway before closing on Jan. 8, 2017. I was wary of how actress Compere would fill the shoes of Sophia, the role originated by Winfrey in the film version of the story. 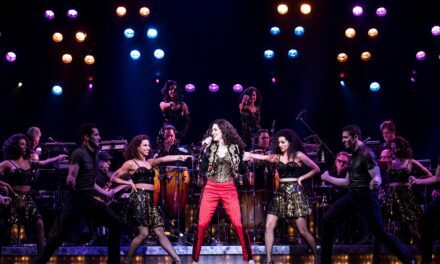 To date, for the two previous stage runs, I’ve only witnessed the remarkable Felicia P. Fields as Sofia, the role she created for the musical’s stage debut, Broadway run and later, the first national Broadway tour. But Compere brought her own fresh personification to the role of Sofia, using a more subtle yet effective characterization with just the right amount of reaction and comic foil touches when needed. South Side Chicagoan claim-to-fame Fields, who lives in the Blue Island area of Chicago, was in the audience at the Auditorium Theatre for opening night. The original 2007 musical starred Fields with Jeannette Bayardella, direct from the New York, Broadway production as Celie, Chicago native Michelle Williams from the musical group “Destiny’s Child,” as the role of Shug Avery and “American Idol” third season finalist LaToya London as Celie’s sister Nettie. 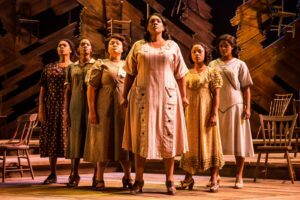 It could be another decade before “The Color Purple” makes another triumphant return to the city where it got its Winfrey blessed start, which is all the more reason to get tickets for this terrific ovation before it’s gone. 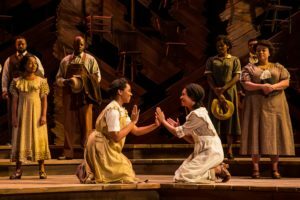 “The Color Purple” is adapted for the stage by Tony- and Pulitzer-winner Marsha Norman with music and lyrics by Brenda Russell, Allee Willis and Stephen Bray. Tickets are $27-$100 (which is even cheaper than the $49.50 starting ticket price from the 2009 tour’s stop in Chicago). 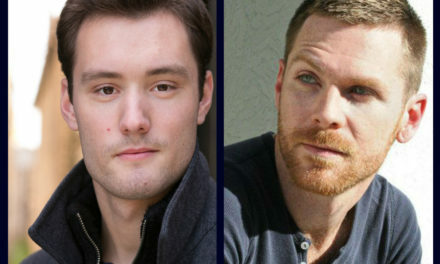 FYI: (800) 775-2000 or www.colorpurple.com or www.BroadwayInChicago.com.